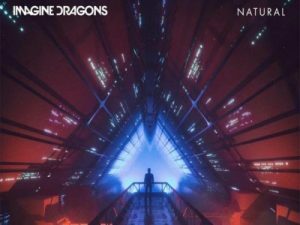 After first revealing the title and release date of their new single, "Natural" via a tweet on July 12th, Imagine Dragons have officially released their newest song, which has also been chosen as this year's new ESPN college football anthem. "Natural" is about overcoming any adversity that may stand in in your way, and in the chorus, Imagine Dragons frontman, Dan Reynolds sings powerful lyrics, "'Cause you're a natural/ A beating heart of stone/ You gotta be so cold/ To make it in this world/ Yeah, you're a natural/ Living your life cutthroat/ You gotta be so cold/ Yeah, you're a natural." Download free ringtone Natural - Imagine Dragons to your cell phone and save mp3 file. The best popular and fresh sounds, tones, short melodies for mobile devices and tablets on our website absolutely free. Have fun!